We are practicing off-bottom, deep-water (30+ feet), vertical grow-out farming. 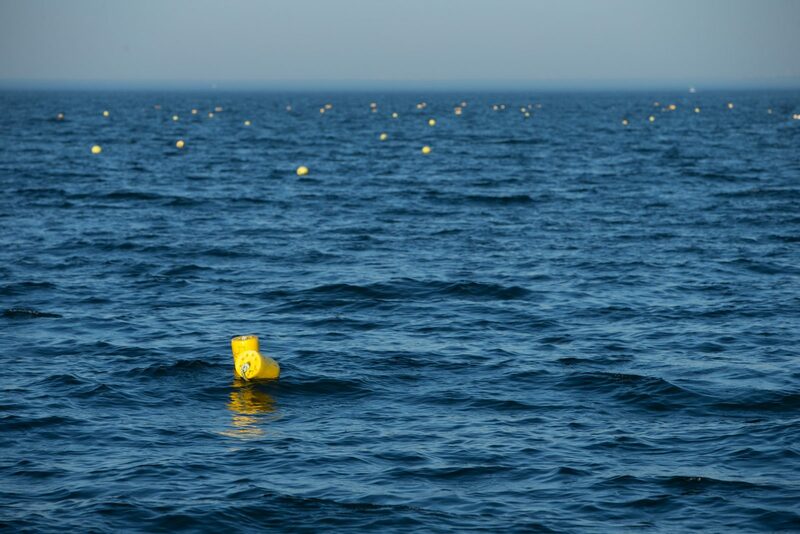 Our oysters comfortably nest in cradles one mile off the coast of Shippan Point Long Island Sound. Stella Mar’s unique process was carefully crafted over time, through years of experience and constant improvements. Long Island Sound provides a nutrient-rich environment for oysters to grow. The current funnels in laterally, creating a compression of the water column, which creates a strong turbulence and mixing effect. This effect gives the oyster a wider variety of plankton to eat, which is evident in the balanced flavor of each Stella Mar oyster. 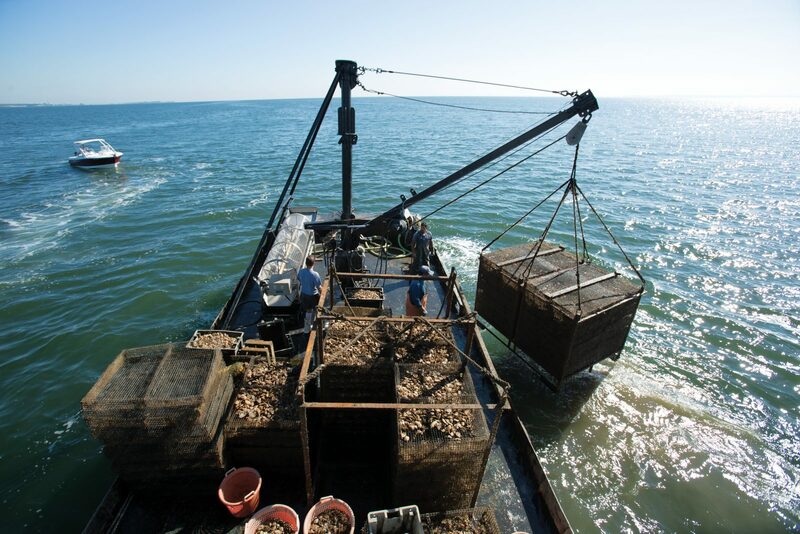 Our off-bottom equipment gives our oysters the most optimal placement for a prime feeding environment, adding to their flavor and plump, meaty bodies. Our approach to oyster farming is to sustainably produce the highest amount of quality oysters with the lowest amount of impact. Our off-bottom trays allow us to amass approximately 1440 square feet of growing space for every 3 square feet of bottom impact. It is a win-win situation. The oysters thrive in a great habitat, while we manage a sustainable business model that is non-intrusive. We have the dream team fleet, which include the Haddit, the Paige Lane, the Camille B, Hardscrabble, and the MSR. Each vessel is outfitted to allow us to pull up our large frames every day to clean, tumble, grade, and harvest our production. 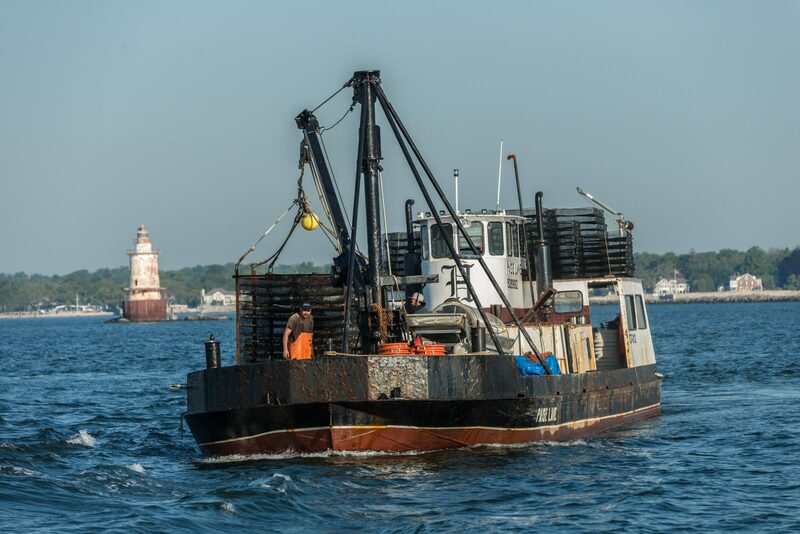 We are driven to produce not only Connecticut’s finest oyster, but the East coast’s finest oyster. 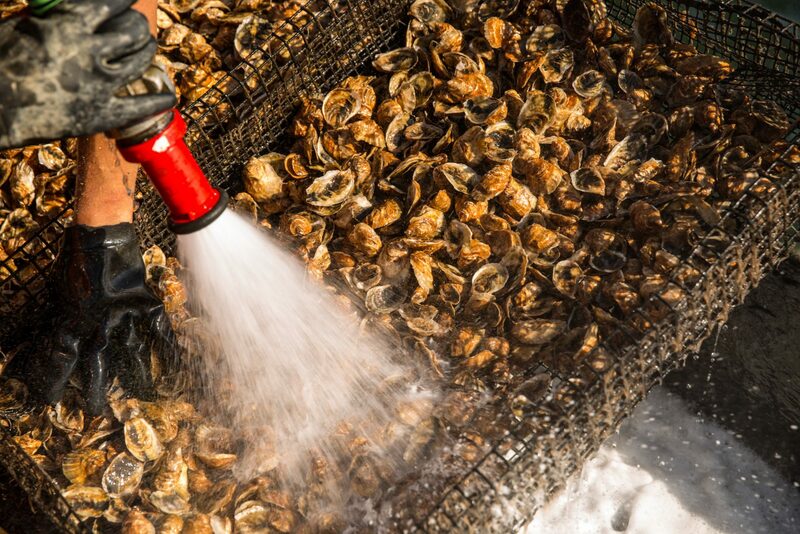 Both Jardar and Steve are actively involved in Connecticut organizations and work with multiple federal, state, and municipal bodies to enhance, protect, and support the shellfish environment in Connecticut. 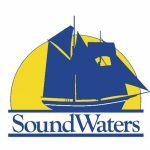 We are proud supports of SoundWaters, a non-profit dedicated to protecting the Long Island Sound through education. © Stella Mar 2018. Designed by Virginia Shaffer of Lady Oyster. All rights reserved.